A cherished memory from our Aviation Club member--Clifford Agumbi. "Some time ago when working in Darfur, I went for a field trip in a place called Arara near the border with Chad. There is only one car there, which belongs to the army. 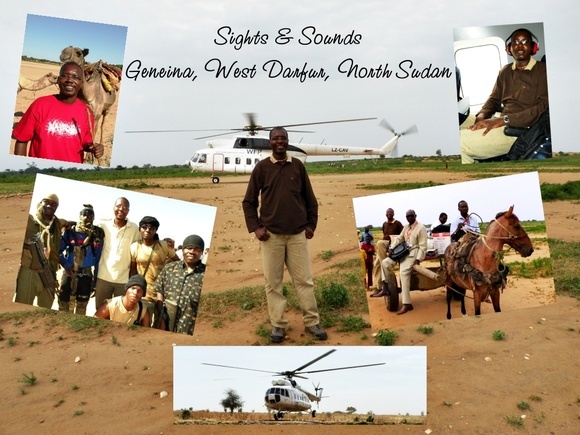 So, when you step out of the WFP chopper, you get a ride on a horse-cart! As the chopper lands you see horse-cart 'taxis' waiting for you in the ‘parking’ area! Can life get any better than this? I don’t think so! It was tough there, but I loved the adventure! Had a good time there. I even gave a speech at a meeting where Tearfund, the NGO I work for was handing over a school it had built for the community. Now that’s life in the field my dear friends!" Thank you Clifford for sharing such a wonderful story!